When he was young, James Godbolt moved from Atlanta to Boston, where his mother enrolled him in violin lessons. "My mother always wanted me to play the violin," he said. "At 10 years old the violin was my first introduction to music and the arts, and I was doing very well with it. But I just got so I wanted to be a dancer. 'Cause there were many theaters at the time, and they had great floor shows, you know, stage shows, vaudeville.... In Boston the RKO Boston was a good theater. They had the Orpheum Theaters, the Metropolitan. Boston was always a good show business city. Many people came to break in their acts." Growing up, Godbolt liked to cross the street from his music school to Stanley Brown's dance studio, where he watched tap dancers practice. These included such prominent artists as Bill "Bojangles" Robinson, Honey Cole, and Derby Wilson. When he was about 12 years old, Godbolt began studying with Stanley Brown. He said he learned the slide from Eddie "School Boy" Ford, a dancer who taught at the studio. There, he also met Jimmy Mitchell, who went by the name "Sir Slyde." The two developed an act called the Slyde Brothers and began appearing on the club and burlesque circuit in New England. Godbolt took the stage name "Jimmy Slyde." 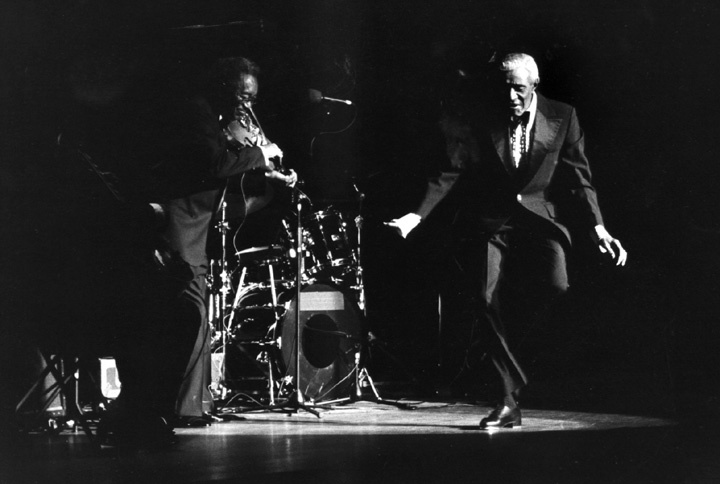 As their reputation grew, they received invitations to perform in the shows the big bands were developing and taking on the road. Godbolt worked with Count Basie, Duke Ellington, Louis Armstrong and other great bandleaders of the era. "When I was dancing with the bands, people loved it," Godbolt said. "During a song, I would tap about three choruses. And then the band would come back in, and I'd do another two and a half, three choruses. Then I'd close it up and whip it out. I tried not to get too mired in routines.... I'm not a routine man. 'Cause dancing is a translating thing, especially if you're tapping. You're making sounds yourself ... different dancers have different sounds. Some dance heavy, some dance light. I'm strictly sound-oriented.... 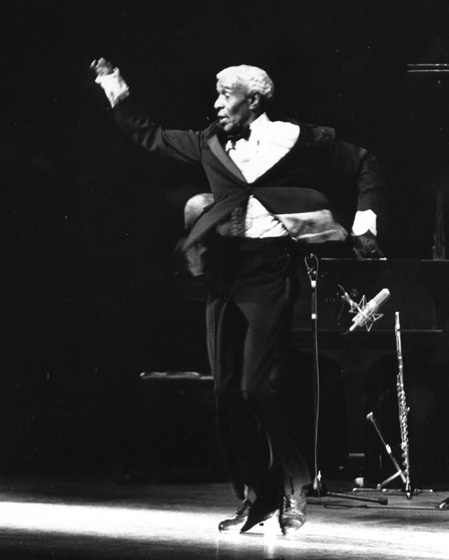 Tap dancing fits with the music — it's like a summation there." In the 1950s, Godbolt appeared in several films and TV programs and worked briefly as a choreographer for the Crosby Brothers. When work in the United States waned in the 1970s, Godbolt moved to Europe. He lived, taught and performed in Paris for several years. 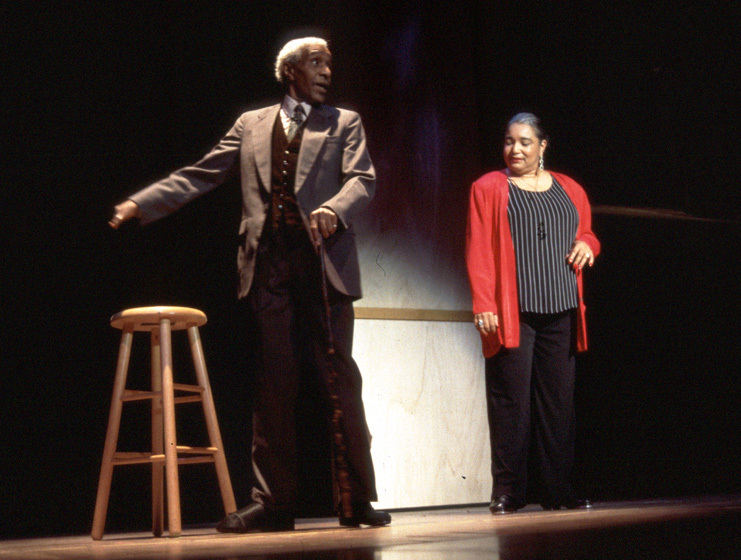 While in Paris, he was a featured performer in the show Black and Blue, which opened on Broadway in 1989. This led to a career revival and a Tony nomination. He danced with Sammy Davis, Jr., and Gregory Hines in the film Tap and appeared in the films Round Midnight and The Cotton Club. 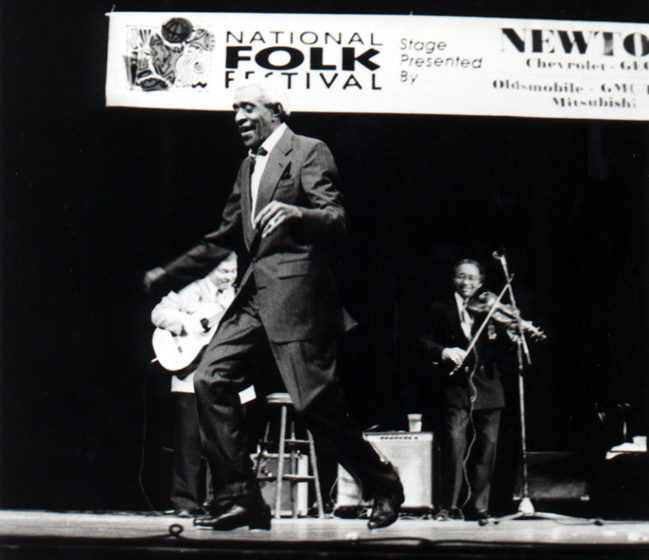 He opened the 1996 Jacob's Pillow Summer Dance Festival with a group called Jimmy Slyde and Friends. Godbolt also served as a mentor to new artists by hosting weekly sessions at the club La Cave in New York City. One student, Savion Glover, called his teacher "the Godfather of Tap" and "one of the true masters of the art form." Kaufman, Sarah. "Savion Glover: Rhythm of the Feet." Washington Post (March 28, 2000). Sawyer, Nora. "Tiptop Tap Room." New York Daily News (March 3, 1993). About Tap. Videotape, 28 minutes. 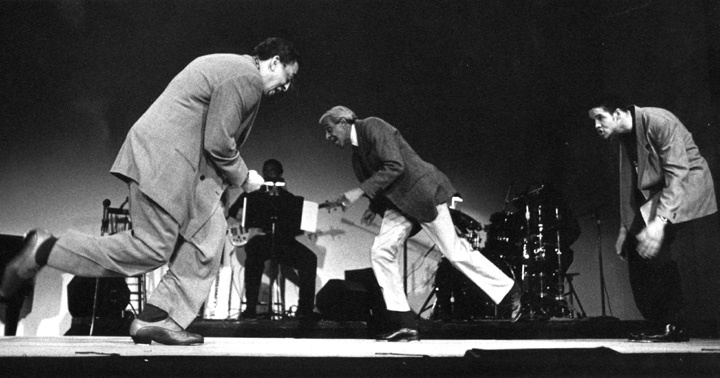 Narrated by Gregory Hines and directed by George T. Nierenberg. Los Angeles: Direct Cinema, Ltd., 1984.